Maggie Sullivan, as a neuro surgeon, is used to making judgement calls in the emergency room that may save lives. One day, her structured life falls down around her and she escapes to her father’s house in the mountains to recoup. What was supposed to be a two week break stretches into two months, while she tries to explore and reimagine the direction she wants the rest of her life to take. Cal Jones was also on a break from his life, and in Sullivan’s Crossing he discovers Maggie, and together they journey towards a new life filled with love and purpose. This book took me completely by surprise. The gentle pace of the story, the suspicion that Maggie had for Cal, and then the friendship and love that developed unfolded perfectly. Maggie had a lot going on in her life. She was being sued for malpractice, her business practice fell apart, and her three year relationship ended with her boyfriend acting the jackass. Cal, also had a lot going on, trying to let go of the tragedy in his past. I loved how through all of this drama they found each other, and even though it took a little time for them to resolve their personal lives, they had this respect and need for each other. One of my favorite things in this book was the running joke of what Cal’s whole name was, Maggie calling him every name under the sun, and Cal enjoying what she would come up with next. Even after she found out what Cal stood for, she continued to call him different names. 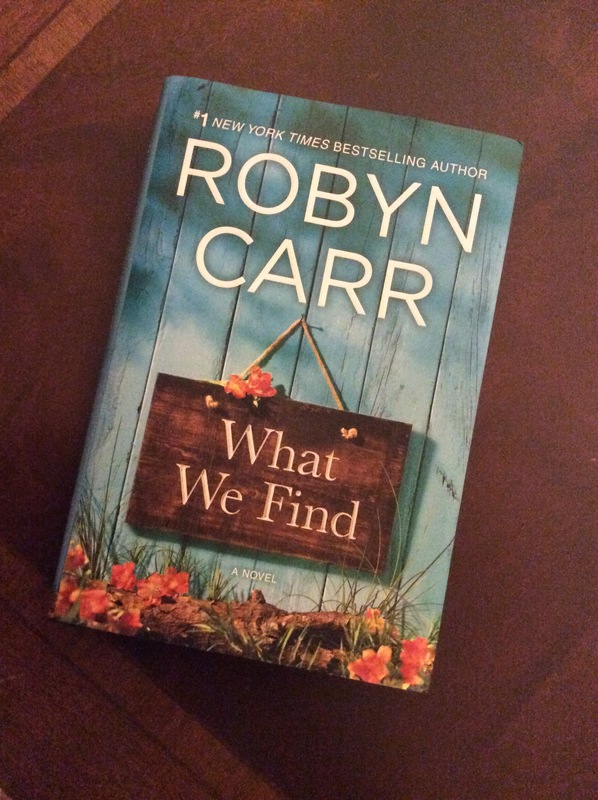 This was my first Robyn Carr book, and her writing really struck a chord. It may be that I was in the right frame of mind, but the humor was spot on, the emotions were tender, and the characterizations well built. Luckily, my sister owns every single one of Ms. Carr’s novels, so I can explore her at my leisure and have many years of great reading in front of me.